6" x 1.5" tapered Carbon steel Hankotsu style kitchen knife, for professionals and refined practitioners of the art of Charcuterie . 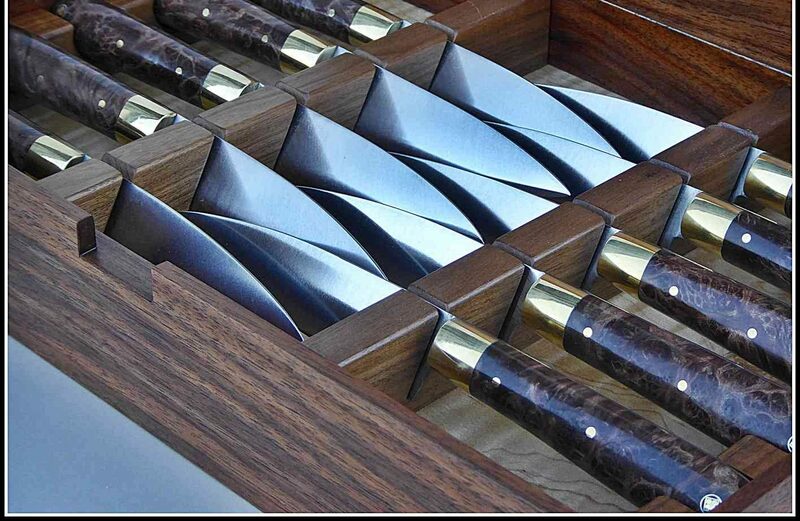 Hankotsu style kitchen knife ~ Carbon steel, as used in the fine art of Charcuterie – a fine tapered blunt nosed Boning style knife. 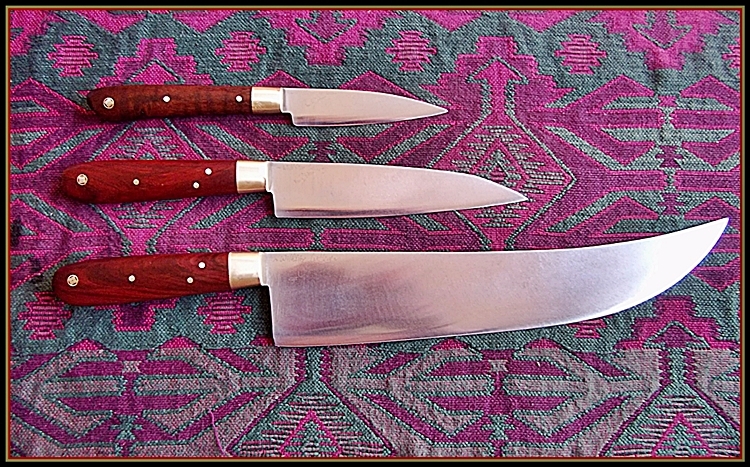 Asian style kitchen knife that is 1.5 inches wide & 6.5 inches long. The Hankotsu is fine slicer, used for separating meat from bones, but not for cutting through bones. It is generally used to fillet out hanging meat. The blade is 1/16th inch thick and tapers from 1.5 inches wide at the heel, and is 6.5 inches long. If you like to order a longer Hankotsu, see Sujihiki page or drop me a note.